Added on March 21, 2018 by Jo Townshend. 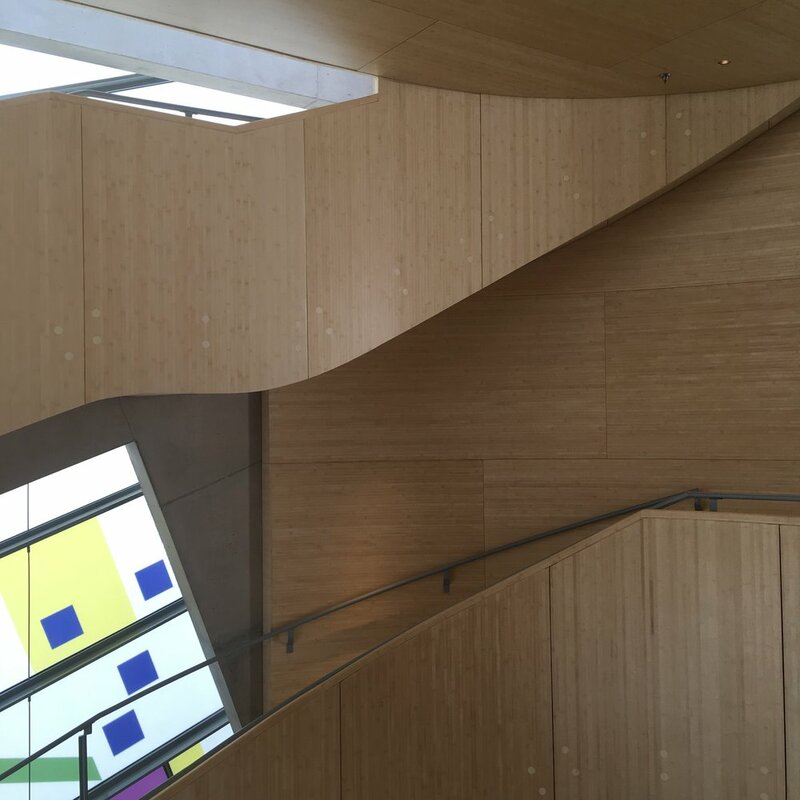 This morning the JTA team visited the most recently completed Maggie’s Centre, which opened within the grounds of St. Bartholomew’s Hospital, London in December 2017. Each Maggie’s Centre provides free support for people affected by cancer via specialists including benefits advisors, nutritionists, therapists and psychologists. The tour, which was organised by the Friends of Blackheath Halls, began in the kitchen with a warm welcome from the head of the centre, Michael Harrison. 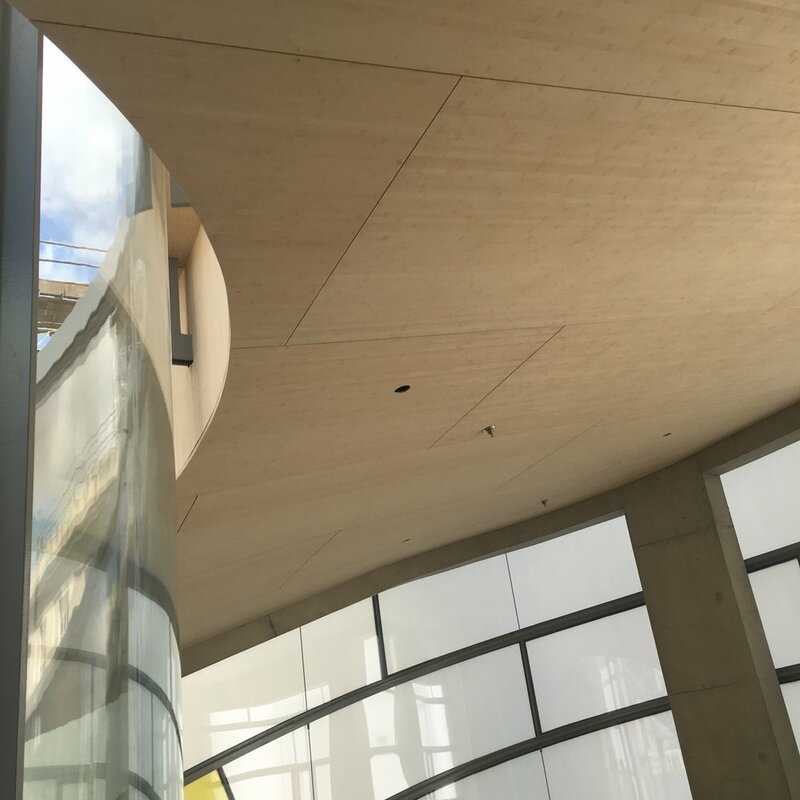 The contrasting raw concrete and bamboo ply interior finishes provide a very warm and secure sense of enclosure in a building which from the outside expresses complete permeability, being dressed almost entirely in glass. 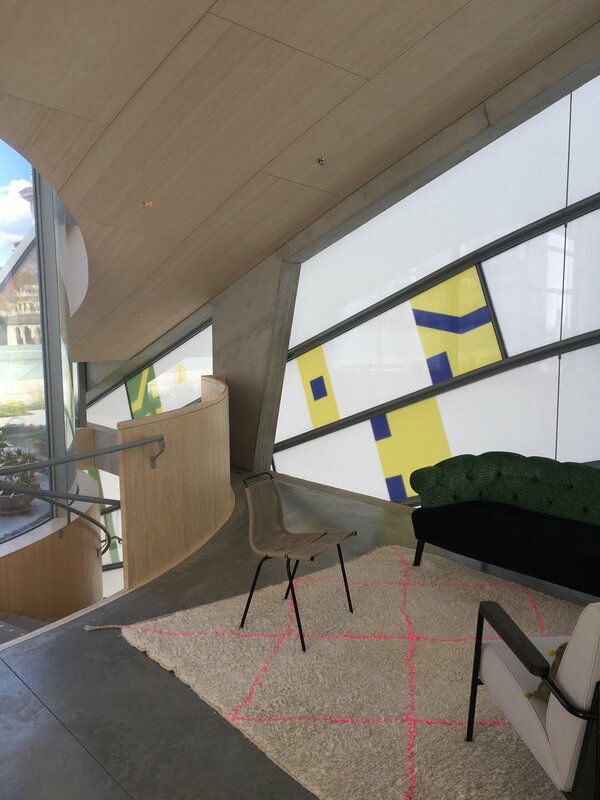 Architect Steven Holl has done an excellent job of carrying this concept through the entirety of the purpose-built centre, which draws you in and up to a peaceful rooftop garden via gently curving stairs, past discreet break-out spaces and private meeting rooms. 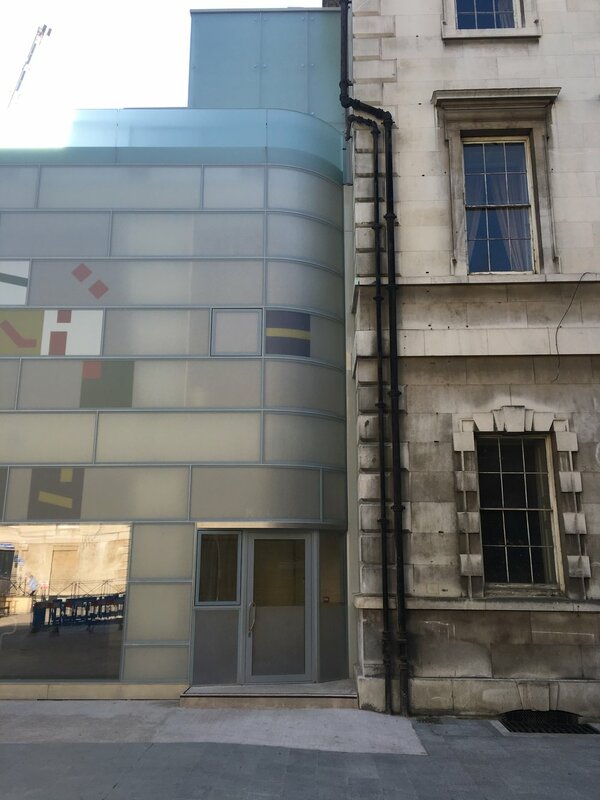 The sensitive nature of the site, being surrounded by numerous heritage buildings, prolonged the planning process of the development; the end result, however, is a complete success. 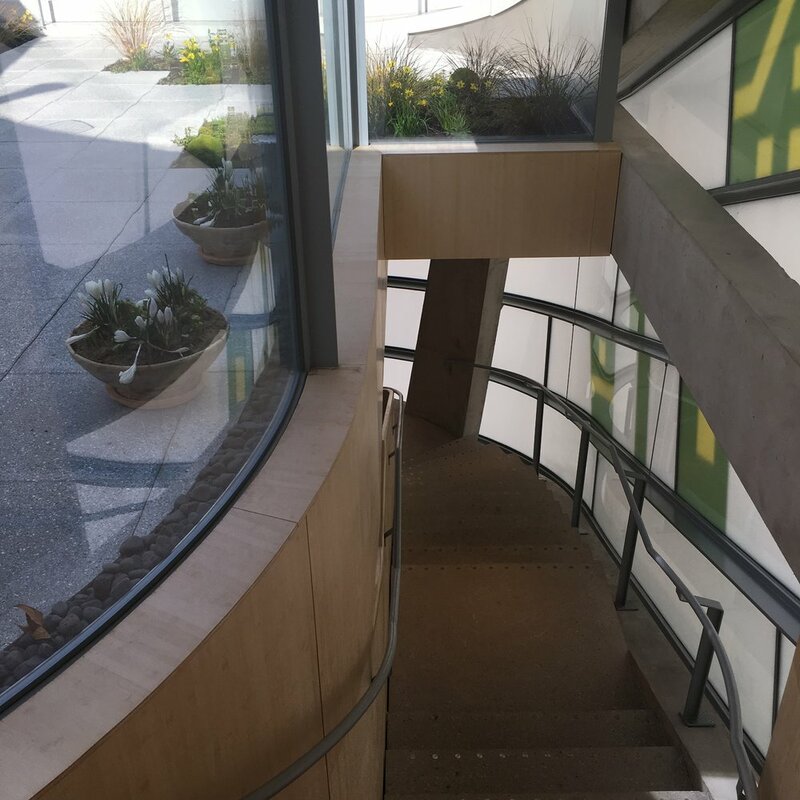 The unashamedly contemporary centre not only sits respectfully on the historic site, but also provides modern services for it. 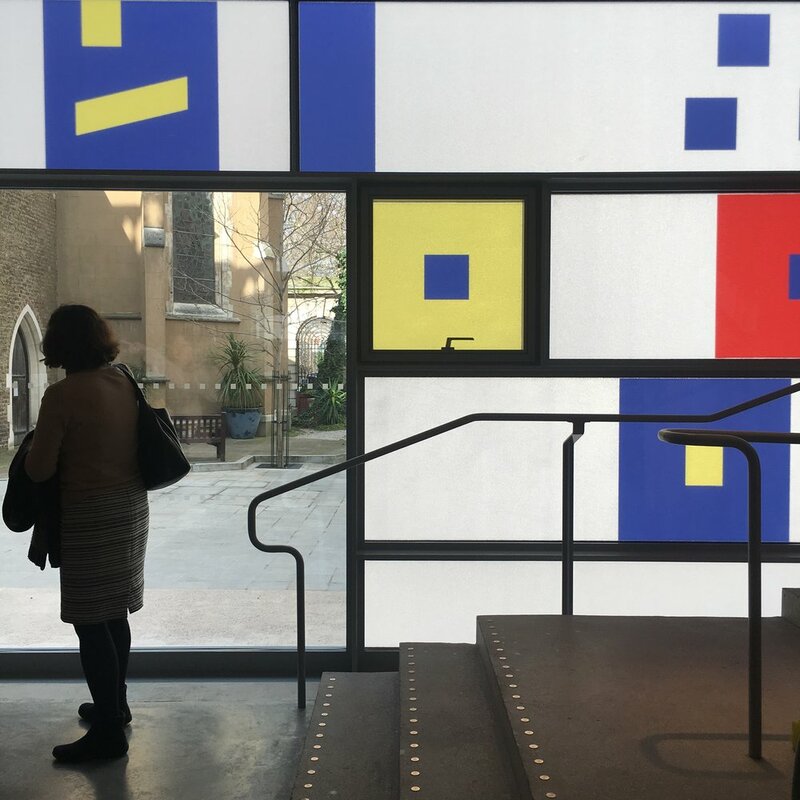 Maggie’s in-house Architect Diego Alejandro Teixeira Seisdedos explained that the St. Bartholomew’s Maggie’s Centre has been designed to include a fire stair, lift and additional toilets for the adjacent Grade-I listed Great Hall. As with all Maggie’s Centres, this building offers a new take on providing a welcoming and comforting space for palliative care. 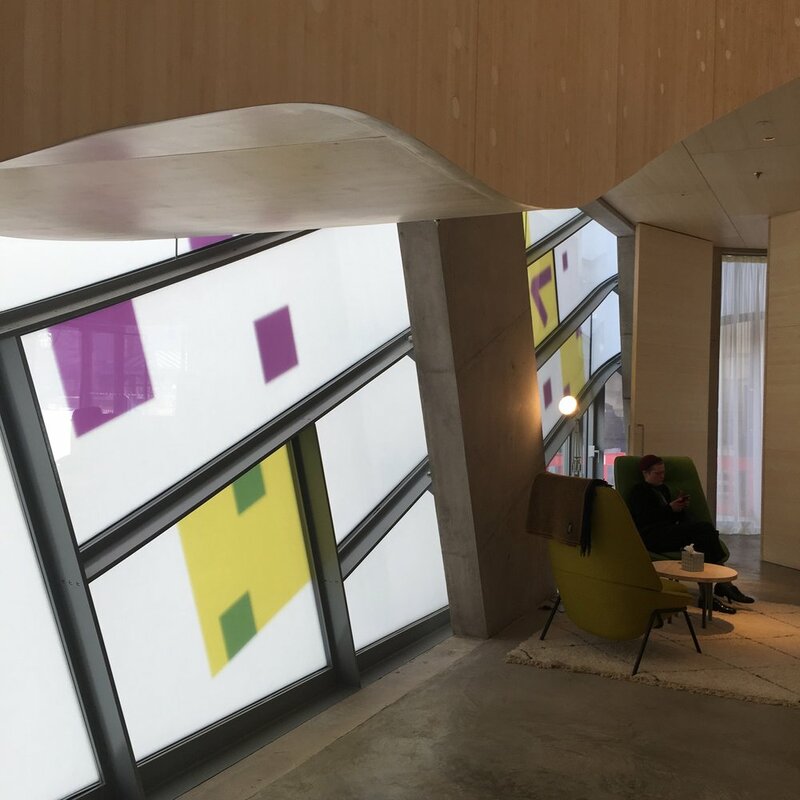 Steven Holl has produced a well considered environment which avoids the clinical nature of most care centres yet doesn’t push the sense of homeliness into parody. Many thanks to Friends of Blackheath Halls for arranging the site visit and to Michael and Diego for taking the time to show us around.